Dr. Abhijit G Bagul is an MBBS & MS in Surgery & has been awarded Fellowship in minimal access surgery (FMAS) from Sir J.J. Group of hospitals, Mumbai. He has been also awarded with fellowship at the Indian Association of Gastro-intestinal Endo-surgeons from the prestigious KEM Hospital, Mumbai. Dr. Abhijit has been very active with community services and was present onsite, treating several victims during the Bhuj (Gujarat) earthquake disaster. He has been very instrumental in organizing different types of surgical camps for poor or low income group of patients. 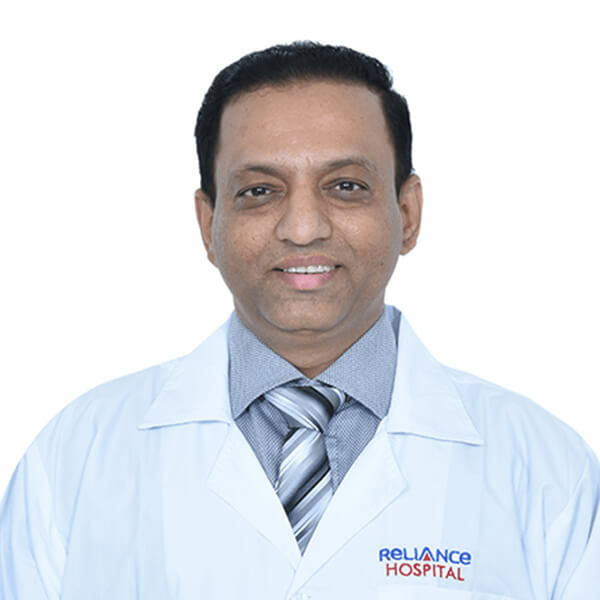 Dr Bagul has over 16 years of experience in Peripheral Vascular, Gastro intestinal, hepatobiliary, Urology, Onco-Surgery, Minimal Access Surgery, Burns Management, Trauma Care, Advanced Diabetic foot Management. Dr Bagul has expertise in Hernia Surgeries with specialization in 3-D Suture-less (Stitch-less) modern technique, Basic and Advanced Laparoscopy, Diabetic Foot Management, Trauma Surgery. Articles & Publications: Two research publications were reported to be rarest of rare cases in the world. (Details listed under Research Publications). Gelfoam Induced Adhesive Intestinal Obstruction - International Journal of Science and Research (IJSR). Giant Breast Lipoma - An Unusual Presentation - International Journal of Research in Medical Science. Giant Cell Tumor of Right Thumb - International Journal of Research in Medical Science. Trichoblastoma an unusual visitor to a surgeon. Unusual occurrence of two sister tumors in the same patient. Gastrointestinal stromal tumor and gastrointestinal autonomic nerve tumor – International surgery journal. What is the recent trend in the clinical study of liver abscess cases – International Surgery Journal 6/3/2018. Suture less 3D mesh repair of Sliding Inguinal Hernia – International Journal of Research in Medical Sciences July-16.